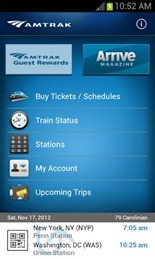 Amtrak, aiming to give you a "new way to take the train," released an official app to the Play Store recently. 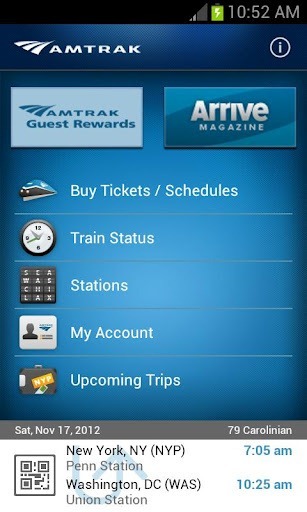 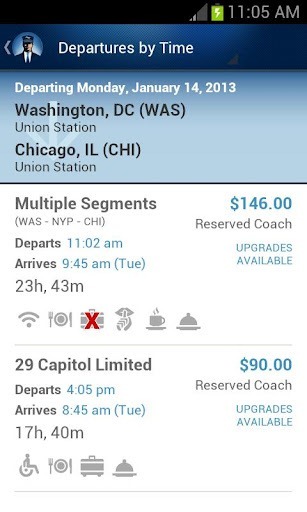 The (logically named) Amtrak app allows passengers to plan their entire train excursion, from buying tickets (which can be displayed right on your device) to navigating to a nearby station, changing/upgrading seat selections, checking train schedules, and using an Amtrak Guest Rewards account. 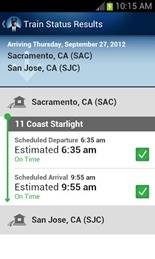 "Optimized for Android," the app carries a holo-ish interface with swiping tabs, proper navigation and scrolling, and all the visual flair you may expect from an app in line with Android's design guidelines. 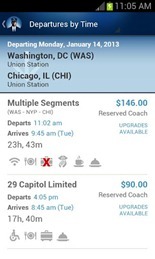 That being said, the app itself is also well-built and stable, and works just how potential train passengers would hope. 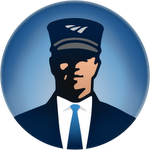 If you're looking to take a trip with Amtrak any time soon, this app is definitely worth your time. 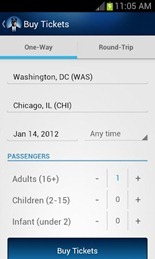 Plus, it's free from the Play Store. Just hit the widget below.